I find images that inspire like the one above; its a composition of particulars. Someone was exceptionally selective; their choices for material note worthy. 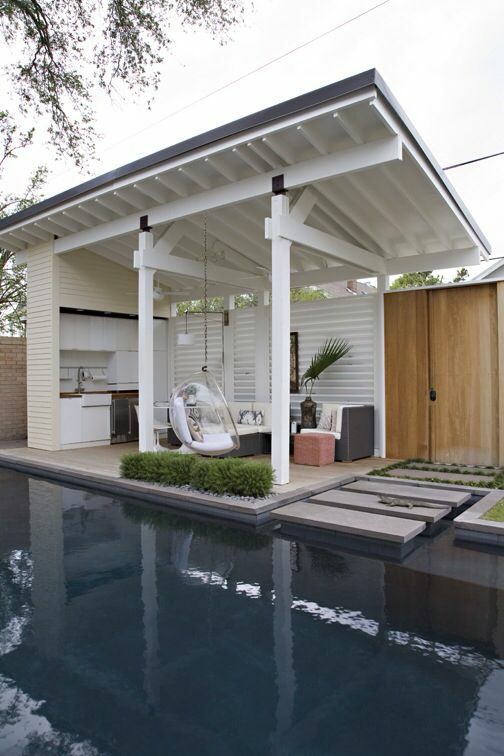 It all began with a client saying: I want an outdoor space. This morning, I’m up early researching outdoor kitchens for a 9 am consultation. My first such opportunity. Thus far my scope of work has been fences, decks, landscape design and outdoor structures. I like this idea of thinking about an outdoor kitchen. All will depend on what the client wants. This morning will start with a walk through of the site to determine their goals for how their outdoor kitchen should function. I will get a feel for their personal taste and aesthetic preferences. Upon returning home, I will begin the process of sorting through images, selecting those that correspond to a fixed idea established by their stated needs. I will send them a large assortment of images from which they will select what comes the closes to expressing their desired outcome. Later we will get together to discuss conceptual drawings and images and begin to refine the plan and choose a design direction.